One of my most favourite games as a kid was called “Rings On Your Fingers”. It was basically a memory game using plastic rings, that had stickers of gemstones on them. When you made a match you got to put the rings on your fingers. Although I don’t own the game any more, I do still love to try on my favourite rings. Here are some of my favourites from my personal collection. 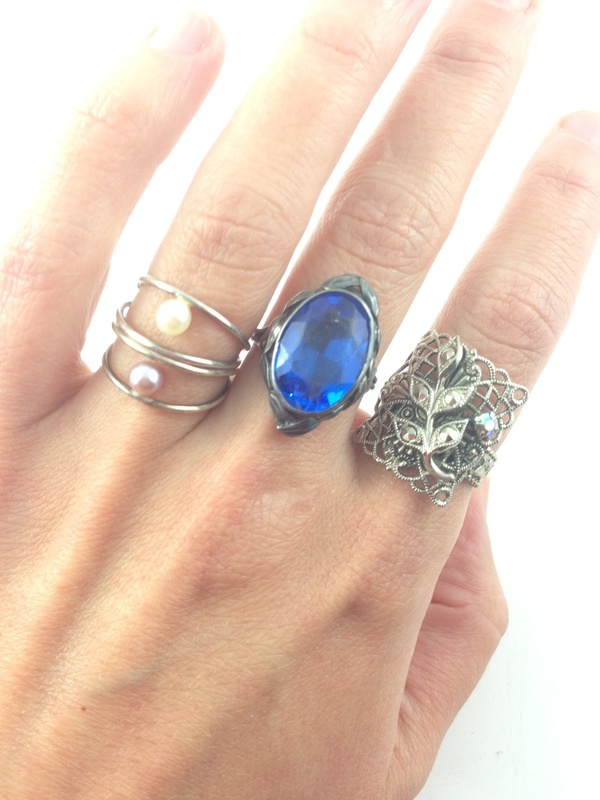 From left to right – Two pretty pearl rings stacked, made by me. Vintage silver and blue glass ring that used to be my Nana’s. Vintage filigree ring from Germany, bought for me by my Mom when we were antique shopping in Qualicum Beach.